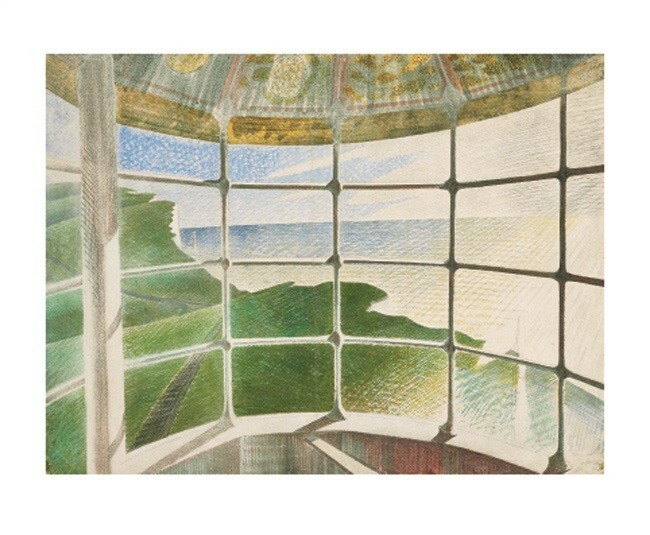 Greeting card reproduced from an original painting by Eric Ravilious. 140 x 170mm with grey craft paper envelope. Recycled and/or FSC approved materials. Biodegradeable packaging. Published by Art Angels. From a watercolour and pencil on paper. Painted in August 1938, in Aldeburgh, Suffolk, 'Lifeboat' uses bold and bright colours and an inventive use of colour.